Melissa Diane Smith is a leading authority on how to use food as medicine for a wide variety of health conditions. She is the author of the new cutting-edge book Going Against GMOs and the internationally recognized author of the groundbreaking Going Against the Grain: How Reducing and Avoiding Grains Can Revitalize Your Health and the companion guide Gluten Free Throughout the Year. She also is the author of User's Guide to Preventing and Reversing Diabetes Naturally and the coauthor of the national bestseller Syndrome X: The Complete Nutritional Program to Prevent and Reverse Insulin Resistance. the health risks of unnatural, laboratory created genetically modified foods. She coaches and counsels clients long distance over the phone and gives nutrition presentations to healthcare professional and mainstream audiences throughout the United States and Canada. She also writes the Against the Grain Nutrition News & Notes blog and e-newsletter. Melissa has spoken at numerous conferences, including the American Academy of Physician Assistants annual conference, the "Polycystic Ovary Syndrome: The Perfect Endocrine Storm" conference, Natural Products Expo West, the Nutritional Pathways to Health and Healing Conference for First Nations People in Edmonton, Canada, and the Australasian Integrative Medicine Association conference in Auckland, New Zealand. In recent years, she has given presentations on the health effects of genetically modified foods (also known as genetically modified organisms or GMOs) and on how to be a savvy non-GMO shopper to the public. She was trained by the Institute for Responsible Technology to speak about GMOs and served as the Speaker, Non-GMO Pure Food Dinner Program Director, and the Director of Education for the GMO Free Project of Tucson from 2011-2013. In May 2013, she gave the keynote rallying speech before roughly a thousand people at the Tucson March Against Monsanto. Melissa has been a regular contributor for the nationally distributed magazine Better Nutrition since 2008 and is now its Ask the Nutritionist columnist. 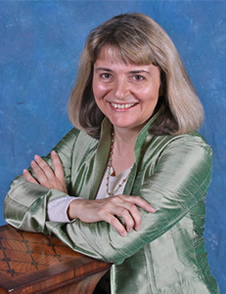 Her work as a nutritionist and author has been written about in The Los Angeles Times, Chicago Tribune, Woman's World, First for Women magazine, New Zealand Woman's Weekly, and on WebMD, About.com, and Celiac.com. She also serves on the Medical Advisory Board of the Southern Arizona Celiac Support group. Melissa combines the investigative research skills she honed in journalism school with her nutrition training and more than 20 years of clinical nutrition experience to stay up to date on nutrition research and provide clients with personalized timely nutrition advice. She is a Phi Beta Kappa graduate from the University of Arizona, earned a diploma in nutrition and Graduate of the Year honors from the American Academy of Nutrition, and received advanced nutrition training from the Designs for Health Institute.